Prime Minister Justin Trudeau addresses a town-hall meeting in Saskatoon on Sept. 13, 2018. Prime Minister Justin Trudeau heads into the fall sitting of Parliament with a focus on ticking off campaign promises while responding to major outside events such as U.S. NAFTA demands and addressing illegal immigration. Mr. Trudeau decided over the summer not to prorogue Parliament, which would have given the government an opportunity to present a Throne Speech with a fresh agenda for the final year of the mandate. Few new initiatives were presented for the fall Thursday as Mr. Trudeau spoke with reporters following a caucus retreat in Saskatoon. Specifically, Mr. Trudeau said Canadians should expect more announcements over the coming year on infrastructure projects now that all provinces except for Saskatchewan have signed agreements with Ottawa outlining how the billions in federal infrastructure dollars will flow over the next decade. With the election looming, Mr. Trudeau’s comments are taking on a sharper partisan edge. He criticized “populist” Conservatives this week and accused conservative politicians at both the federal and provincial levels of failing to take climate change seriously. Major items on the government’s fall agenda include efforts to renegotiate the North American free-trade agreement, preparing to launch a national carbon-pricing plan by Jan. 1, a fall fiscal update focused on competitiveness and a yet-to-be scheduled first ministers' meeting on internal trade. Other challenging files for the government include the growing backlog of refugee claims – largely the result of illegal border crossings – and a debate over whether to impose some form of handgun ban in an effort to reduce shootings in urban areas. Several Toronto MPs expressed strong support for such a ban. Spadina-Fort York MP Adam Vaughan said action on handguns is urgently needed. “It is unacceptable for people in this country to be killed by handguns, to have communities terrorized by handguns and to sit by and say that there’s nothing we can do. Of course there’s something we can do,” he said. The Liberals’ Toronto caucus issued a declaration on Thursday condemning Ontario Premier Doug Ford’s decision to use the Constitution’s notwithstanding clause to shrink the size of Toronto City Council. Nova Scotia Liberal MP Bill Casey, who was first elected to Parliament in 1997 as a Progressive Conservative, said this week’s gathering was among the most positive caucus retreats he’s attended. The veteran MP said he does not see the need for the government to introduce major new policies this fall given Ottawa is already facing a large number of important issues, including NAFTA negotiations and immigration. While in Saskatoon, Liberal ministers spent the week making speeches and funding announcements throughout the region. The party has just one elected MP in Saskatchewan. Public Safety Minister Ralph Goodale is planning to run again in Regina-Wascana. 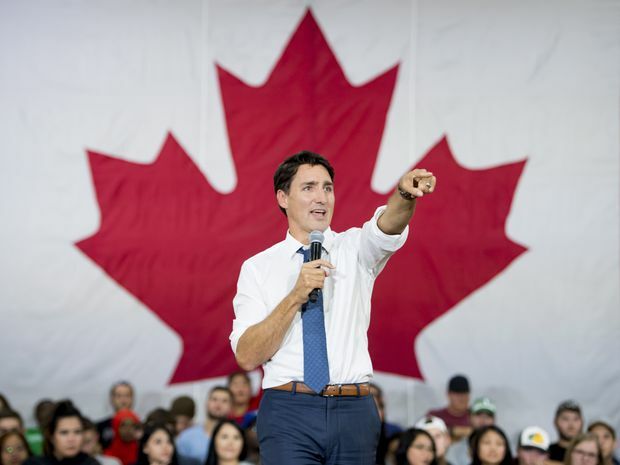 Pollster Nik Nanos said there is no reason to think the Liberals are poised to make inroads in the 2019 election. He said the Liberals likely decided to spend time now in a region where they are weak because as the election approaches, they will be focusing their efforts on Ontario and Quebec, where the party has a stronger chance of success. “It will be very difficult to pick up seats in Saskatchewan,” he said.